Feeling lucky this April? 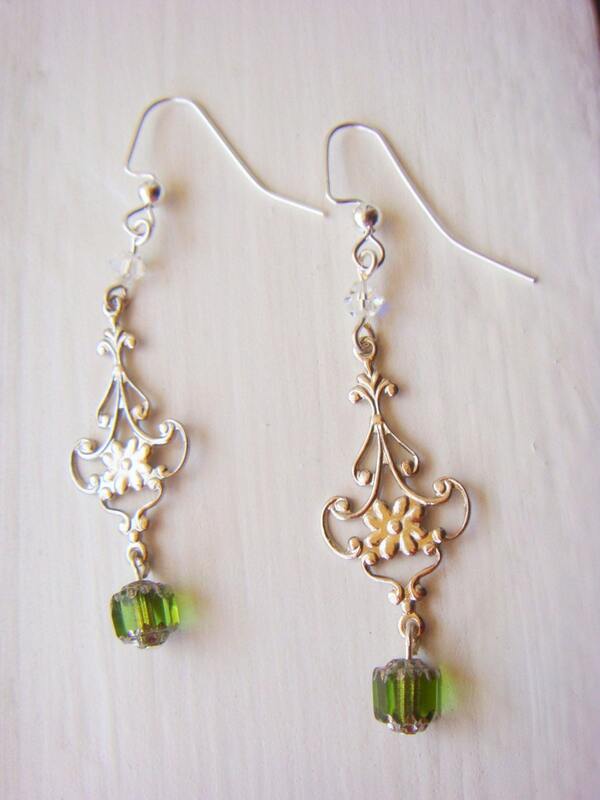 These vibrant green and silver floral filigree earrings will add impeccable shine and luster to your attire, so much that people will want you to be their lucky charm. KUKLAstudio — Green Leaves Earrings. Long Silver Earrings. Folksy :: Buy "Green Aventurine Necklace FREE Earrings"